Come June a city-run pilot program will forbid the use of almost 10,000 parking spaces where users usually pick up or leave Car2Go vehicles. TORONTO — Forthcoming Toronto parking regulations that caused Car2Go to suspend its operations within the city by the end of the month are sending a "chilling signal" to car-sharing services eyeing or already in the market, an expert says. Car2Go said Thursday that it had been rendered "inoperable" by a city-run pilot program arriving in June that will forbid its use of almost 10,000 parking spaces, where users usually pick up or leave the service's vehicles. The pilot program will also charge the service permit fees of $1,499.02 per vehicle and force Car2Go to immediately relocate their cars when two or more car-sharing have vehicles been left on the same the residential street. Sunil Johal, policy director of the University of Toronto's Mowat Centre, said he considers the pilot's restrictions on car-sharing services "a step backward." "This is the kind of thing the city should be looking to welcome and promote, rather than shut down or put in place parameters that make it almost impossible for the programs to work successfully," he said. "It comes at a time, when we are trying to think about ways to move people away from car ownership and car usage, so it seems counter intuitive that the city is putting significant obstacles in the way of an established model of car-sharing that has been proven to reduce vehicle miles travelled and greenhouse gas emissions." Daimler-owned Car2Go has been in the Toronto since early 2012, when it required users to pick up and park cars in Green P lots, but started allowing them to leave and grab a vehicle from any legal spot on streets in 2016. The company now operates in 26 cities around the world, including Calgary, Montreal and Vancouver. Car2Go has faced fierce competition in recent years from similar services, including Zipcar, Turo, Enterprise CarShare and General Motors Co's Maven, but its biggest challenge has come from the city. The two have been debating the "free-floating" car-share pilot for months, with Car2Go threatening in February to leave Toronto if the pilot made it too difficult for the company to keep operating. The city is mostly concerned that residents with on-street parking permits won't be able to find spaces to leave their cars as car-sharing services continue to grow in popularity. Mayor John Tory said expressed disappointment Thursday that "Car2Go has chosen confrontation over collaboration." "While their decision to suspend operations in Toronto is unfortunate, it is their decision alone to walk away from a clear path towards regulations that would allow them to operate in our city in a reasonable, compatible way," he said. "I'm confident that other car sharing companies willing to work with us and to operate in this manner will succeed in Toronto." Johal didn't share that confidence. He said he worries that it sends a message to companies that Toronto isn't as open to car-sharing innovations as other cities, which have reached agreements with such services. "If we know that this works in other cities and is reducing congestion and vehicle miles travelled, we should be learning from those lessons instead of turning a blind-eye to what is happening in other cities outside of Toronto," he said. Ryerson University business professor Murtaza Haider said car-sharing services need to focus on more than just cars. "When cars are being shared, parking is not being shared, so (such businesses) have to explicitly account for parking-sharing models or otherwise it will fail or be challenging," he said. "Knowing what we know in downtown Toronto, parking is the real battle. You can't have a business model that just looks at mobility, but not parking." As for Car2Go, it expressed optimism about the rest of the country, saying its service in Montreal was just expanded to additional boroughs. It said it has 80,000 Toronto members, whose memberships won't be cancelled or refunded because they will be able to use them in other countries around the world. 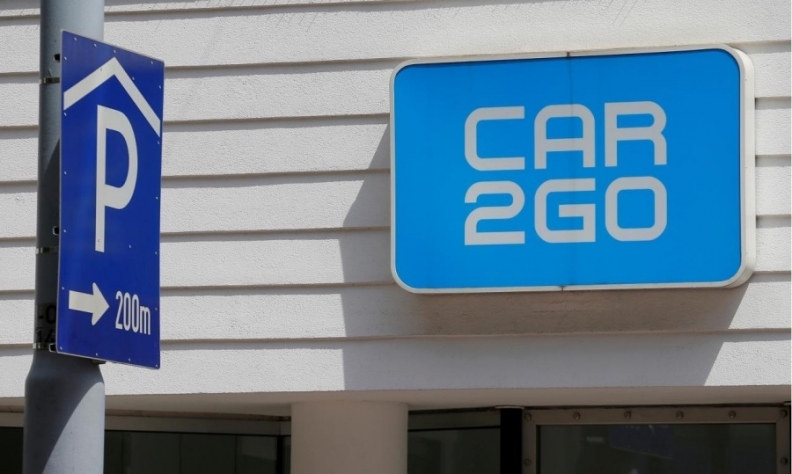 "This is not the result we were expecting and to say we are disappointed would be a huge understatement," Car2Go CEO Paul DeLong said in a letter the company sent users on Thursday. "We hope that one day, the City of Toronto chooses to establish a legal framework that makes true free-float car-share possible in the same way that dozens of other global cities have"